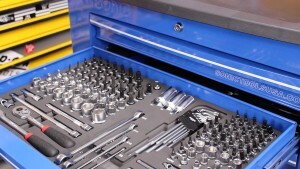 Today we are touring the Sonic USA S10 toolbox. 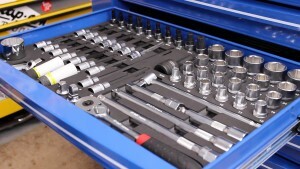 This box comes filled with tools designed for a Volkswagen technician. The box is filled with 295 pieces, including wrenches, sockets, ratchets and more. Each drawer is set up with efficiency in mind. The box also has 3 drawers that are empty. This allows for adding tools of your choice to the box. The current price point for this box as you see it is $3995. Trouble viewing? Watch “Sonic S10 Toolbox Tour” on YouTube. Please post them below. 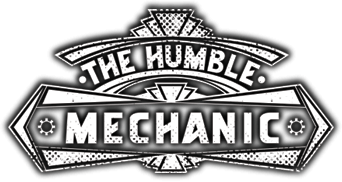 If you would like to suggest a part of a show like this, email me Charles(at)HumbleMechanic(dot)com. What every workshop need is a great tool. Can you only buy this box and the tools in it if you work for vw or Audi? Nope, it’s open for anyone! I think their organization is awesome. The box set up is great, and would be perfect for a new tech, or an at home box. My wife LOVES it(yet she still won’t put them away HAHA). That said, they are cheaper than Snap-On, but pricier than a brand like Craftsman. So it’s a tough price point to be in. I have not fully pushed most of the tools to the max yet. I will be doing a bunch of engine work on the GTI in the next few months. After that I will have a better idea of just how good these tools are. Stay tuned for a bunch of videos really using these tools.